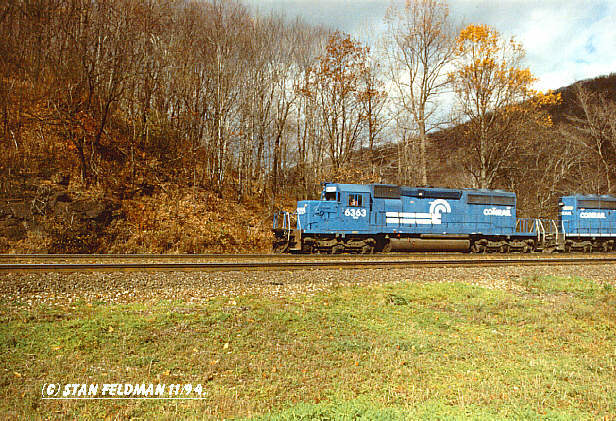 Conrail Photo Gallery; Page 1 of 12-! 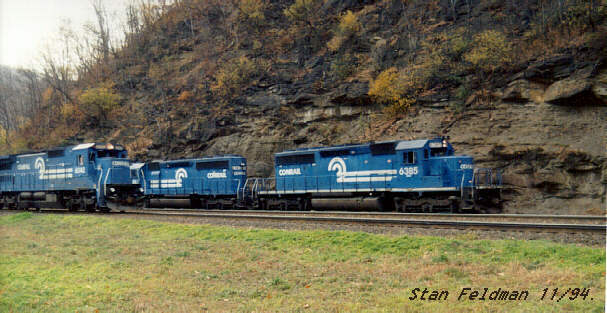 Stan's RailPix Conrail Photo Gallery ;Page 1 of 12. 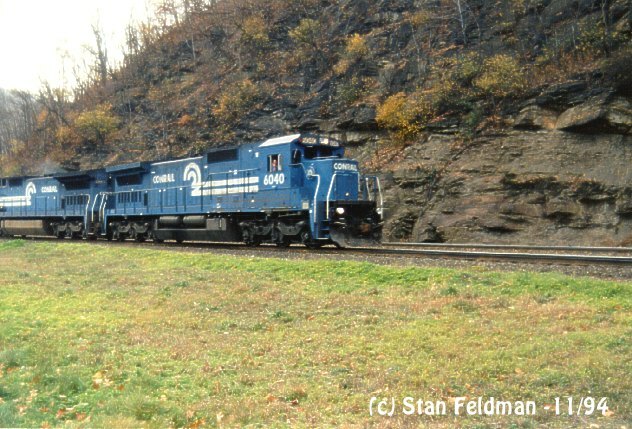 Click here to see Conrail SD-40-2 #6363 leading a long coal train into The Horseshoe Curve National Historic Landmark,in Altoona Pa. 11/94. 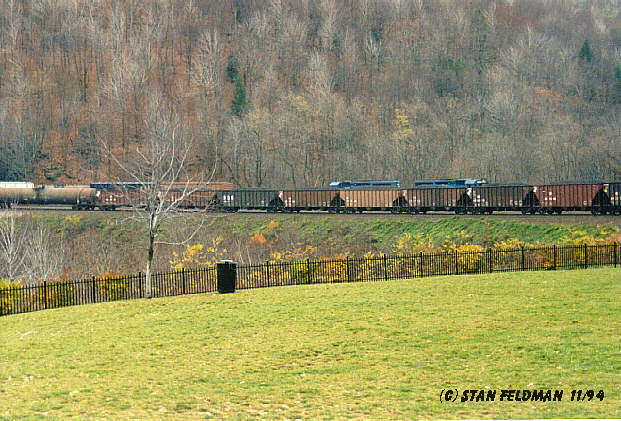 Click here to view just a part, of a long train stretching around The Horseshoe Curve National Historic Landmark,in Altoona Pa. in the fall of 1994. 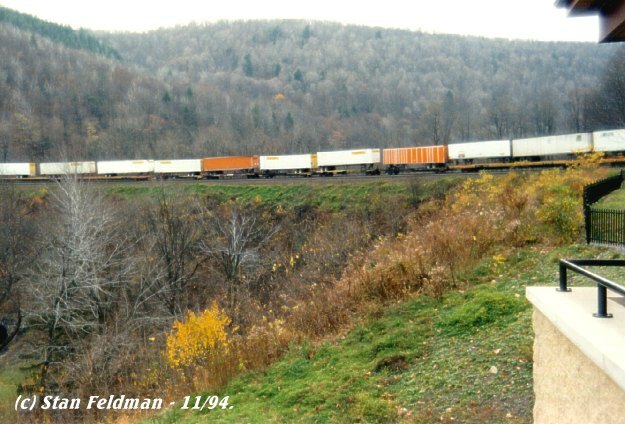 This is a great place to watch trains ! 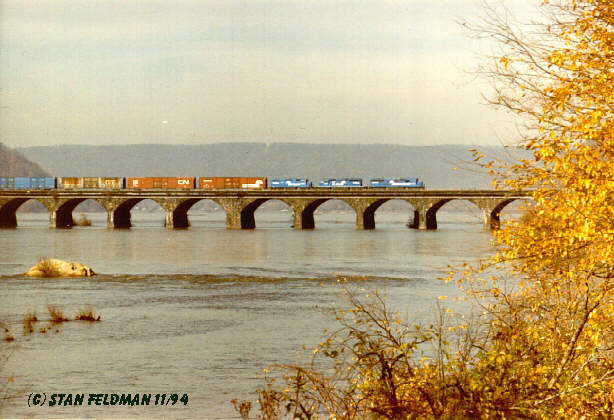 Click here to view a Conrail Train crossing the Rockville Bridge in Harrisburg Pa. , on an overcast day in 11/94. 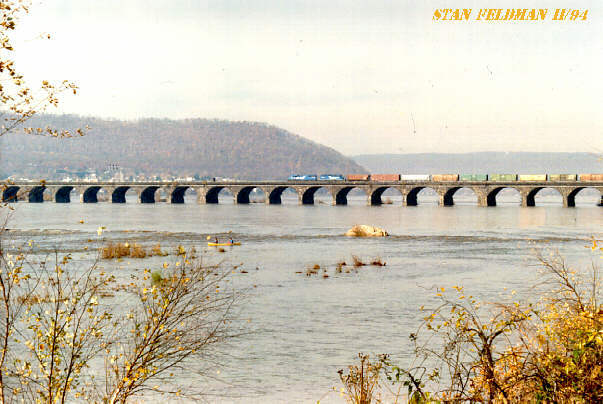 The Pennsylvania Railroad built the bridge across The Susquehanna River in 1902. The bridge is 3,280 feet long and is the longest stone-arch bridge in the world. 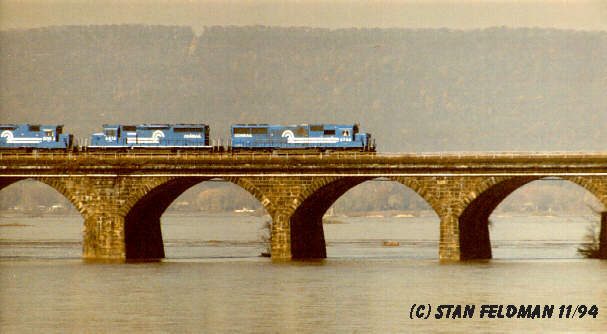 Click here for a closer view of The Rockville Bridge, Conrail SD-50 #6746 is leading. Note the fuel oil pipeline that runs across the side of the bridge.It was damaged by a recent derailment. 11/94. 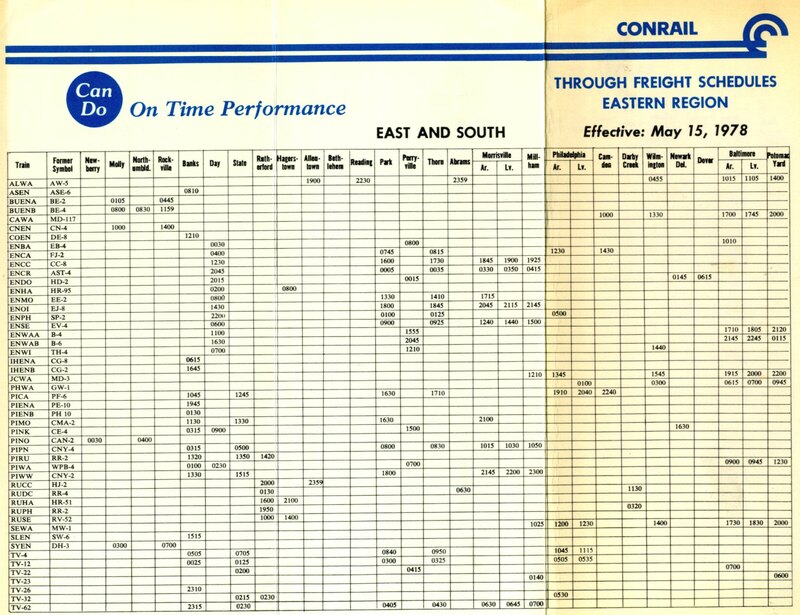 Click here to Send a FREE Farewell To Conrail Card ! 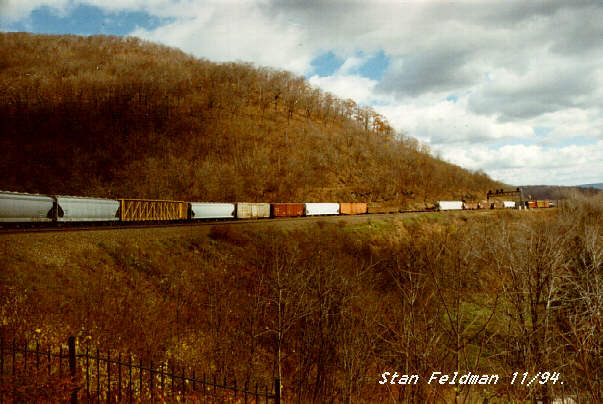 Click here for Freight Schedules, east and south. 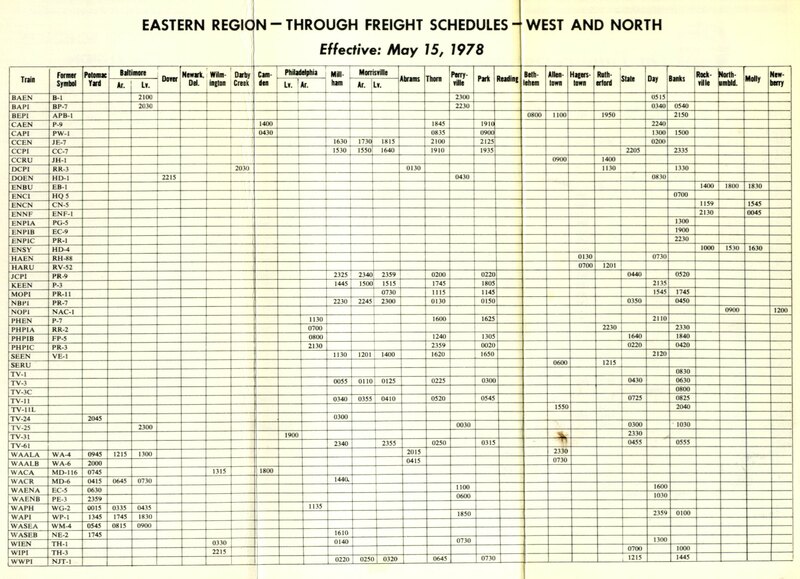 Click here for Freight Schedules, west and north.